Losing weight too fast has long been associated with some health problems. Studies indicate that this can lead to slower metabolism, gallstones, and a fast weight regain. 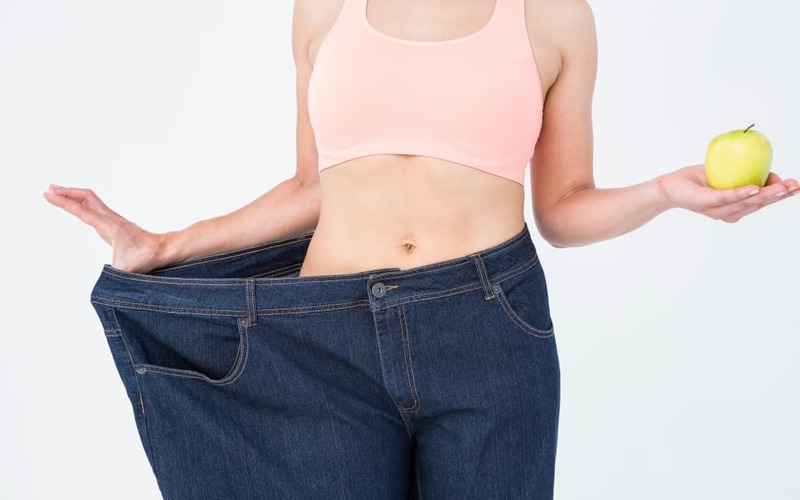 However, other studies show that the rate of weight regain has no connection to the rate of weight loss (Obesity A Research Journal). To understand which side of the argument to believe you need to know what the healthy rate of weight loss is. You also need to learn a few tricks that will make fast fat-burning plans safe for your health. Understanding a Healthy Weight Loss Rate: How Fast Is Too Fast? Experts seem to agree that the optimal rate of weight loss is about 1-2 pounds per week. That number is considered not only safe but also achievable through healthy practices. You see, the majority of health problems associated with a too fast weight loss are caused not by the change in weight. They are the result of unhealthy diets and other extreme techniques used to achieve those results. As you can see from the Journal of the International Society of Sports Nutrition, fad diets lead to nutritional deficiencies. While such drastic health issues shouldn’t develop if those plans are used short term, trying to ‘prolong’ the extreme weight loss effect will undoubtedly cause problems. This is where metabolic issues, gallstones, and other negative health effects of a rapid weight loss come from. But does this mean that you can’t lose weight faster than 1-2 pounds a week and stay healthy? No, it doesn’t because if you use a smart and well-balanced plan, you’ll be able to lose weight faster. The point is to use a program that isn’t a restrictive fad diet. For example, a 14-day diet plan that includes a well-balanced meal plan and intense workout regime accompanied by supplements to enhance results. Such a rigorous program will allow you to make the most of the initial weight loss, which always goes at a greater pace. You’ll need to switch to a more moderate plan afterward, but the initial weight loss will ensure that the overall result you achieve is impressive. What’s So Special About the Initial Weight Loss? It’s safe to lose weight fast during the first stage of a weight loss program. This happens because your body starts using up the glycogen in its stores to produce energy which you aren’t getting due to a new diet. This weight is referred to as ‘water weight’ because glycogen is bound to water. You’ll be sweating buckets during those first workouts, so be sure to drink no less than eight glasses of water daily. An intense but well-balanced plan will allow you to take advantage of this period and lose more weight than you usually would. This will boost your results overall even if you switch to the balanced 1-2 pounds per week plan after. By repeating the course occasionally you’ll be able to boost your results. Why Is Losing Weight Slowly Better for You? Aside from the fact that you aren’t endangering your health with restrictive fad diets and extreme workouts, losing weight slowly works out better in the long run. The programs aimed at gradual weight loss are focused on integrating healthy dietary and lifestyle changes. This means that it’s easier to stick to those healthy habits after you achieve weight loss. Therefore, you will be able to keep your body in shape with relatively little effort for years to come.